In this article we'll talk about how to turn users' suggestions into improvements and show you more effective way to manage your customers' feedback. The end users are the most important people when it comes to websites, software applications or desktop applications. After all, the success of your product depends on whether the end users like or dislikes it, whether it meets their requirements and needs, whether their assessment result was taken care of while designing the product or not. Now you know how much the development of a software application depends on customer feedback. So how can one get easy access to the minds of the end users to know their feedback on the website, web application or desktop application of which you are the owner? BetaEasy lets you gain this easy access by bridging the gap between the owner of a web application and its end users. BetaEasy is, a new customer feedback management and beta management service available on the World Wide Web. This lets you, as the owner of a website/web application/desktop application, gather feedback from the users of your online link or desktop application. BetaEasy is a very useful link that efficiently works well for both, websites and applications and also for classic desktop applications. BetaEasy is an online service that helps you in building your own user-specific community that cooperates well with you along with contributing to the overall improvement of your website or software improvement. The complete customer feedback is collected at one place, and priorities are clearly set and identified. This helps in converting the feedback into improvement of the application or website. What else can you ask for in order to improve the efficiency of your web application or desktop application? Isn’t it easy to get started? After creating a user account on this website and integrating your product with it, you can actually create your user-specific communities that can communicate with each other, solve issues and problems collectively and also vote for each other’s suggestions. Using this feedback management service, you can receive firsthand information about all kinds of missing functionality and usability difficulties and also get to know about drawbacks that may prevail in your website, software, or desktop application. This also lets you create an ever-going conversation with your users and customers. You can also instantly react to the requests or suggestions made by your users and try implementing the suggestions and improvements according to some set priorities. By making effective use of this customer feedback management system, you can measure the drawbacks of your website against those of your competition and lay down strategies to help improvise the website after understanding the constant feedback received from the end users. To explain in more IT-related terminology, BetaEasy is a Web-based service that is developed to make the beta stage of any software application or web application easier than ever before. 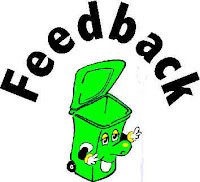 Because the feedback from the users is collected and compiled in one place, this website feedback service is very user-friendly and makes the feedback extremely to manage for the owner of the website or web application.